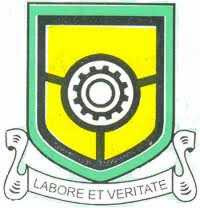 The management of the Yaba College of Technology (YABATECH) has announced the date for the 2017/2018 academic session Matriculation Ceremony for newly admitted students . Newly admitted students into Yaba College of Technology for the 2017/2018 academic session will officially swear to oath of allegiance to the College on Thursday, 14th of June 2018 at the Sports Pavillion in the College. Interested matriculants have been advised to collect academic gowns from their respective School Officers.